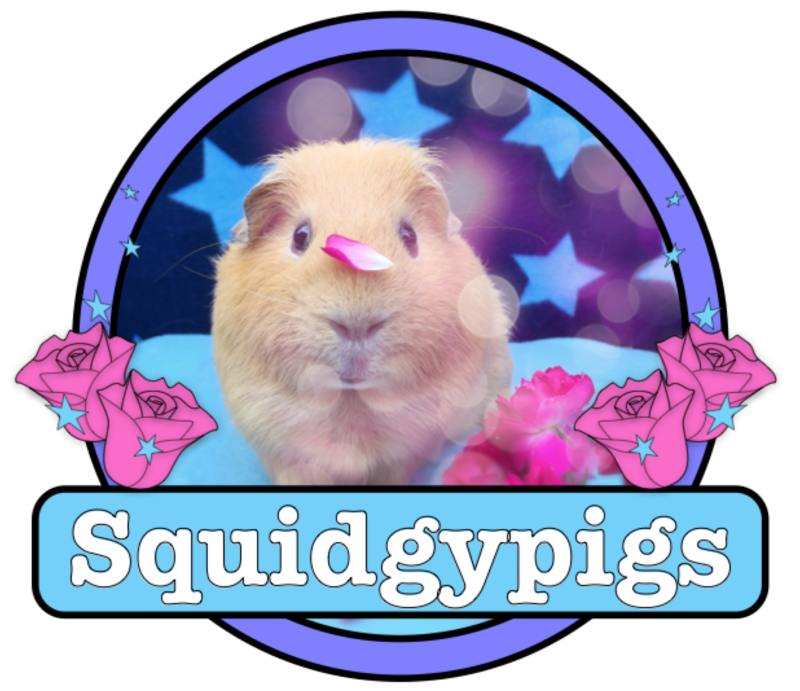 Having recently discovered that a number of our beloved Squidgypigs had the start of a mass Mange Mite infestation I thought I would share what I’ve learnt about Mange Mites. 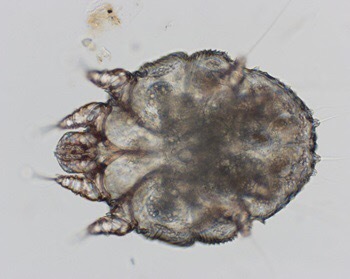 Tiny mites that burrow into the skin of infected animals. Not to be confused with static lice. The mites causes pain and hair loss. The distress from this can cause dehydration, anorexia, seizures and ultimately death. Hair loss (mild at first). 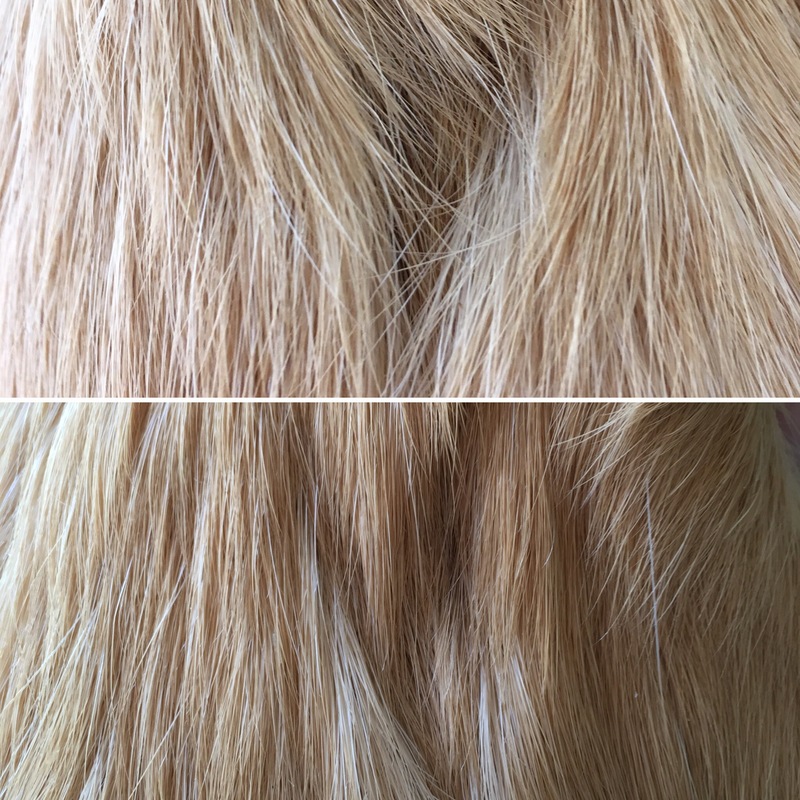 A “V” shaped bald patch on back. Wheeking or crying when itching. Scabs and sores (can be bleeding). Wheeking or crying when you touch them. 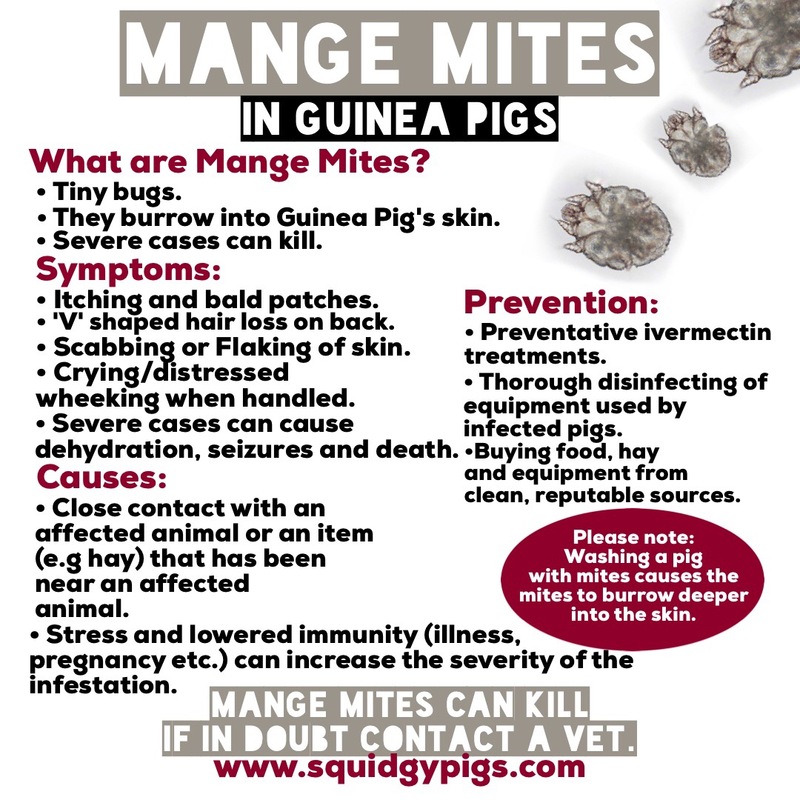 Guinea Pigs can show no symptoms but be carrying mites. Grass from areas that other animals use. Mites can live asymptotic on pigs and only start trouble when the pig is stressed. Crowded environments can ease the spread. Washing a Guinea pig silently infected with mites can cause the mites to dig deeper into the animal’s skin. 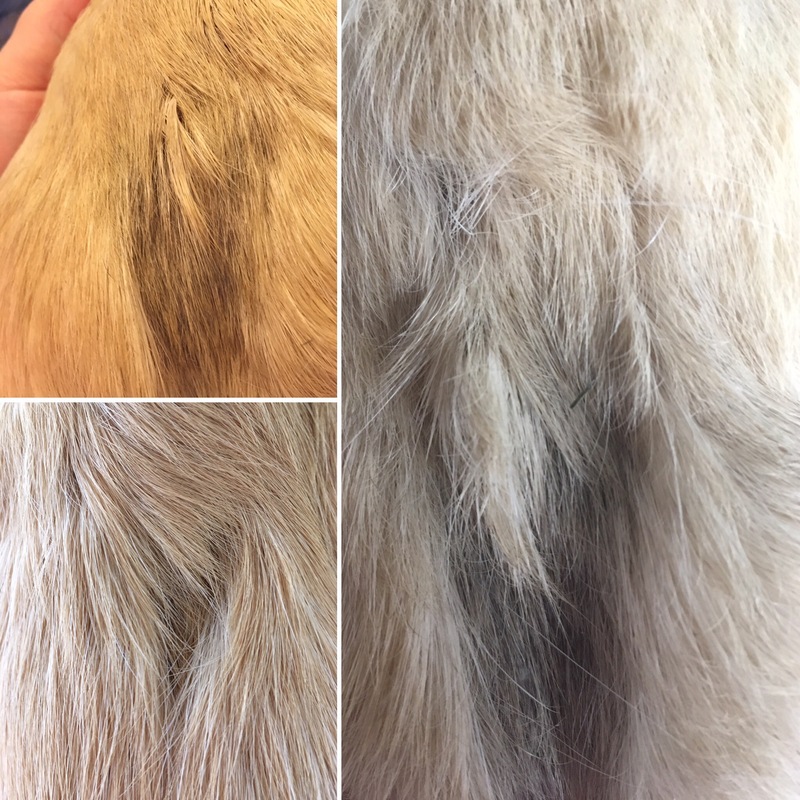 We believe this case of mites originated from a bale of dusty farm hay I used for bedding that I now know what stored where other animals were brushing up against it. Morag has had a hard time. 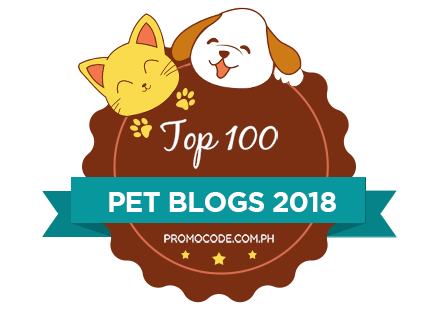 Ideally you should consult a vet who will likely treat with Ivermectin injections. Alternatively some success is reported with topical ivermectin sprays but I wouldn’t recommend this unless you are 200% sure what ailment you are dealing with. 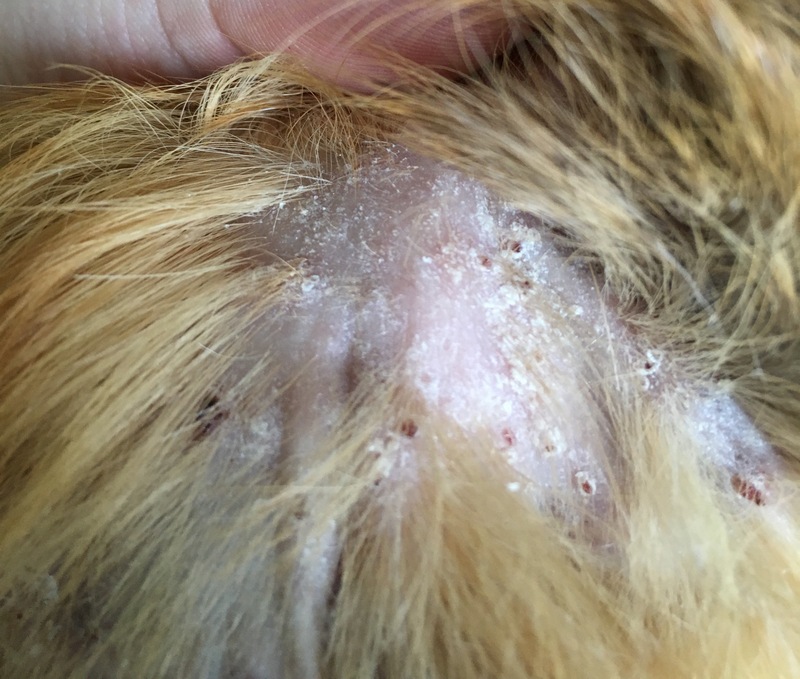 Ringworm can look similar and can occur as a result of the stress of mites. I’ve heard really good, positive things about using Beaphar Anti-Mange Spray 75 ml as a precautionary treatment and will be definitely using it in the future to prevent outbreaks. I was really shocked at how quickly the infestation took hold. 1 day I noticed a lot of scratching from some of the girls. The next some of them had visible bald patches. We sought treatment at this point for everyone (even 6 girls that showed no symptoms). We also separated all pigs into cages according to the severity of the symptoms. I’m happy to report that the majority made good progress after the first treatment . 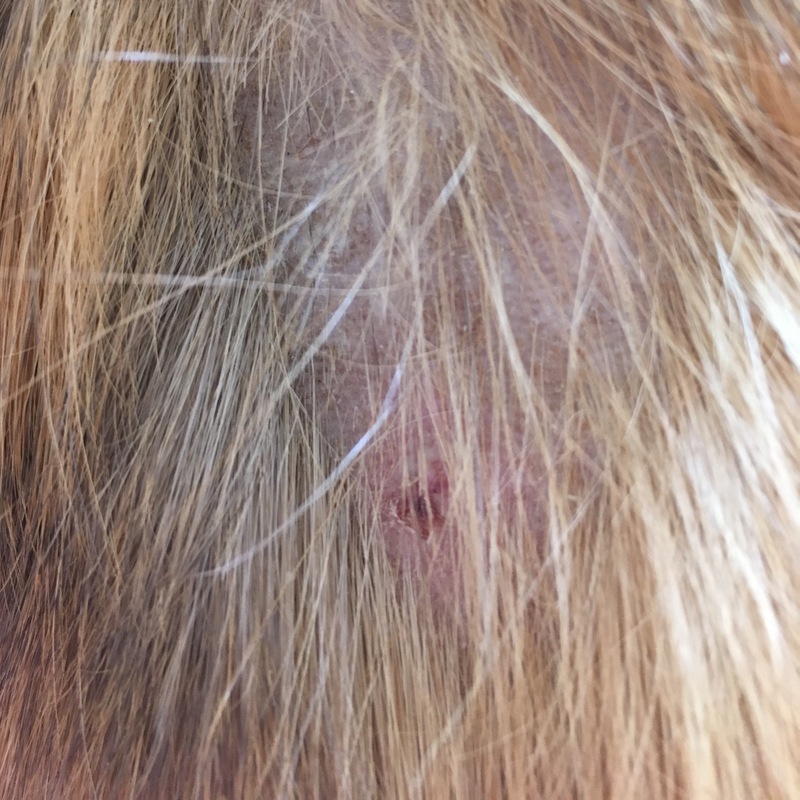 Unfortunately 4 of our more immunosuppressed girls didn’t respond to the initial treatment and then started showing symptoms of stress induced ringworm. 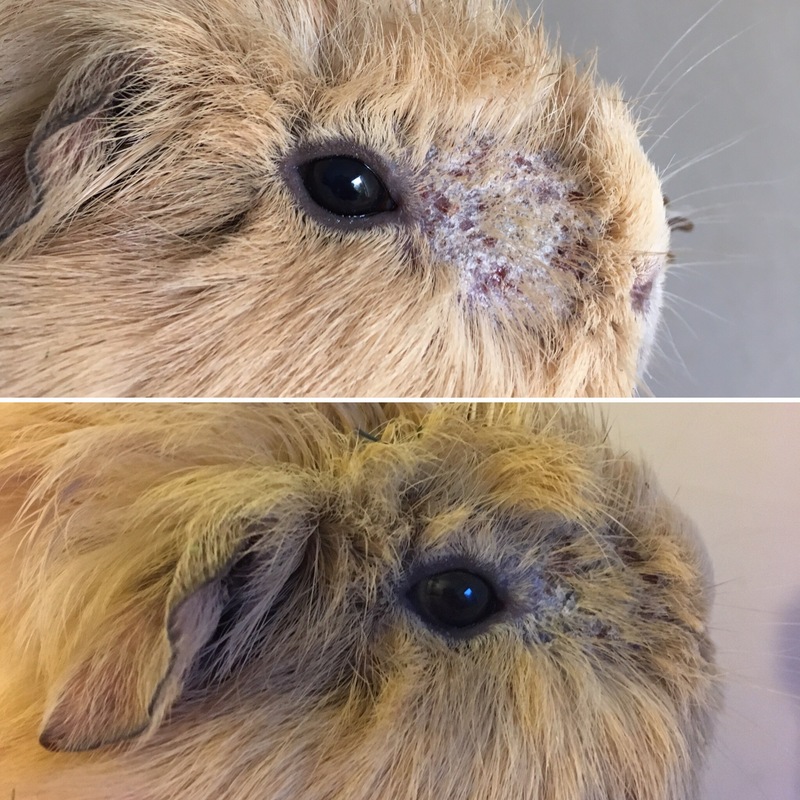 Marilyn before and after 1 week’s ringworm treatment. I am now really happy to report that everyone seems to be very happily on the road to recovery. I will definitely be treating with the Beaphar Anti-Mange Spray in the future to guard against these awful parasites. Mange mites in guinea pigs.